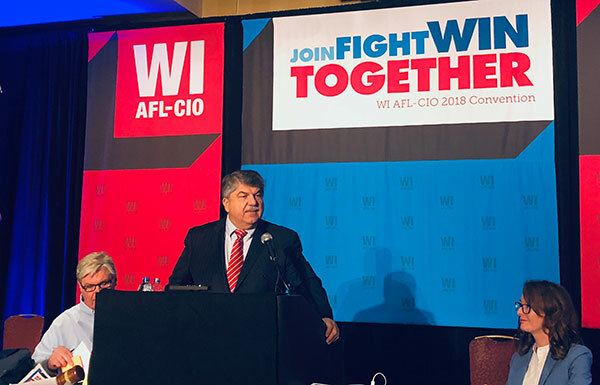 Alongside several pro-worker candidates—including Sen. Tammy Baldwin (Wis.)—President Trumka called for solidarity, warning that victory will only come if working people stand together. Check out some of the highlights from his remarks below, and read them in full here. 13.2%: A union member earns this much more on average than a nonunion worker with a similar education, occupation and experience in the same sector.